Granada is another city belonging to the autonomous community of Andalucia, Spain. This town lies 738 meters above sea level and right at the foot of the Sierra Nevada mountain, the highest mountain range in Spain. Although high above sea level, Granada is merely one hour away from the beautiful Mediterranean coastlines. The history of Granada is long and colourful. It was originally called Ilbyr by the native tribes who first settle here during the prehistoric times. Later it was renamed Illibris during the Roman settlement. When Arabs colonized the city during the 8th century, they later renamed the city to what it is known today – Granada. As the various municipalities of Spain fell under the Christian rule, Granada held its ground as a great and strong Moorish settlement. Finally in 1492, it became the last Muslim City to fall under the Christians. Granada is one of the most visited cities of Spain due to its well preserved history. The Moorish legacy can clearly be depicted within the palatial grounds of Alhambra, although several were altered to cater to the designs of the Christian kings. 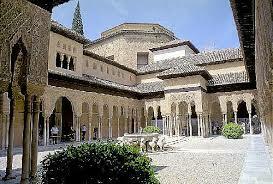 One of the most visited places in Granada is the Alhambra. This place was made a World Heritage Site by UNESCO in 1984. Depicting the artistic wealth of Spanish Muslim art, you could be left in awe with the grandeur of the Alhambra. 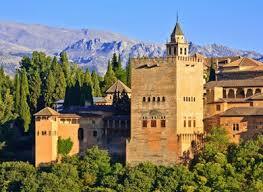 The Alhambra is a series of Nasrid palaces and gardens. It includes Generalife, the summer palace with fountains and lush gardens. At its centre is also the huge palace of Charles V, an architectural marvel of Spanish Renaissance design. Sacromonte Hill overlooks the Granada city from the North. Once home to a large Gypsy community in Granda, Sacromonte Hill is also famous for its many caves carved on a hill that are well worth exploring. Although not technically in Granada, the Sierra Nevada Ski Station is very accessible from here. This station also sponsored the FIS Alpine World Ski Championships in 1996. 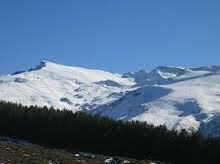 Minutes away from Granada, you and your guest can enjoy skiing the great snow filled mountains of Sierra Nevada.